At this time of year you naturally start thinking about all things spooky and here at the British Newspaper Archive we’re no different. 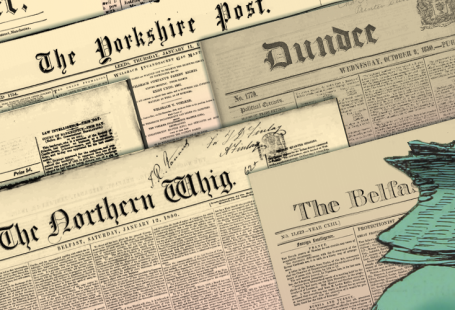 We’ve been combing the newspapers in our collection for stories that will send a shiver down your spine and we think we’ve found three great ones. The first takes us right back to 1723 where the Newcastle Courant was all a whisper about some strange sightings. 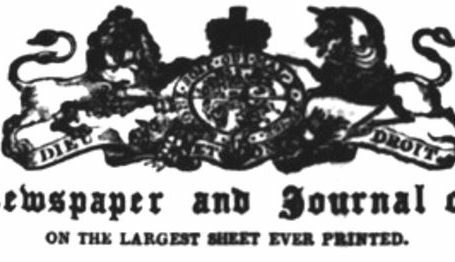 From their somewhat tongue in cheek tone the Courant don’t seem particularly worried about any ghostly goings on and as they point out, the account is vague at best – but it was enough to get people talking. 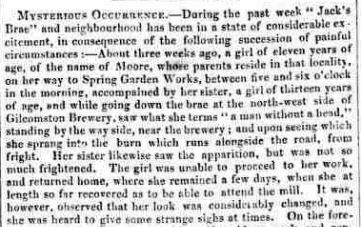 The same was true in London in 1825. 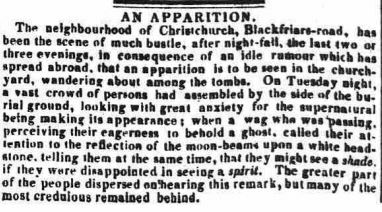 According to the Morning Post, crowds had been gathering at a graveyard near Blackfriars Road for several nights. They were drawn by tales of a ghostly figure that had been reported a few nights previously. By the speed the crowd disappeared when a local joker appeared it seems they were there for amusement rather than serious scares. 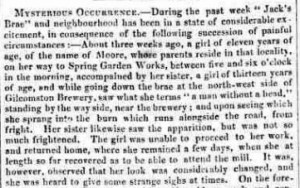 That was not the case in Derry in 1842 when a suspected sighting sent local mill workers into a right state. It all started when two little girls saw a terrifying headless figure on their way to work one day, according to the Londonderry Journal and Donegal and Tyrone Advertiser on Tuesday, December 13. The girls were scared but worse was to come. Soon after, one of them started having fits, and was soon followed in this by her sister. Both girls were uncharacteristically aggressive and would bite anything that came within reach. 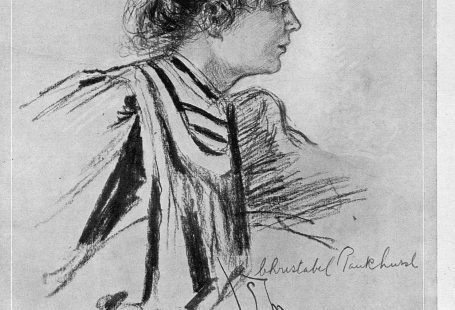 It seems it wasn’t just the ghost that had legs – soon there were tales of a headless figures that sat down and stood up, that walked about the town – and that had been walking about the town for a couple of years, according to other local girls determined to show they were braver than the two afflicted. But for all this bravado the number of the afflicted grew and grew. The newspaper counted a grown man, McKenzie, and numerous members of the original girls’ extended families. All of them were having fits and presumably also biting anything that came close. Doctors, it seems, were at their wits end. There must be more investigation, insisted the Journal. But the ghost sightings happened in the darkest part of the year and the paper quoted another publication with an alternative theory. So there’s a terrifying ghostly duel, a moonbeam spectre and a hairy pipe. Happy Halloween from all of us at the British Newspaper Archives.